Now THIS was fun!! I first saw this bird take flight from a ditch and fly out over a small ridge in an adjacent field. She set down where I could just see the top of her head from the road. I parked and started creeping towards her, keeping down so she (hopefully) wouldn't see me coming at her behind the ridge. I was very happy after a (seemingly) long and cold crawl to pop my head and camera up and see her still sitting there. 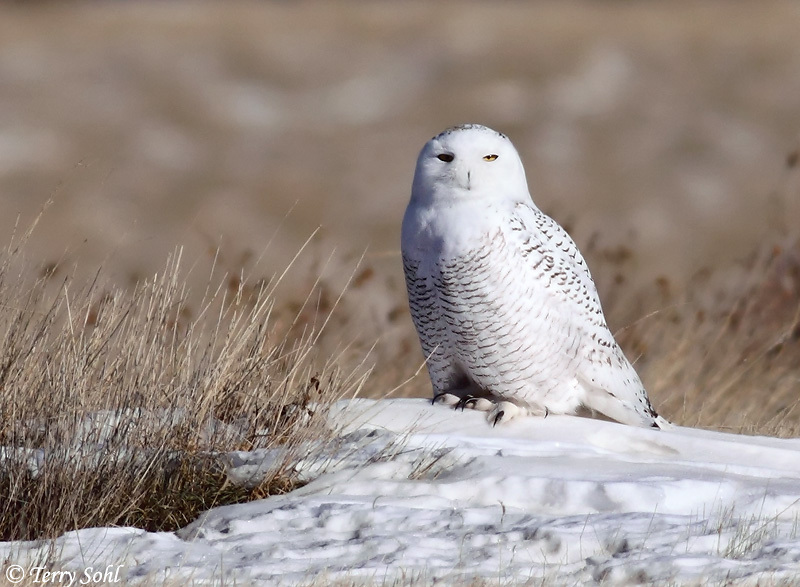 Photo taken on January 4th, 2009 on the Fort Pierre National Grasslands south of Pierre, South Dakota, with Canon 50D, 400 5.6L lens.